Nolléval is a village and commune 17.50 miles (28 kilometres) east-north-east of Rouen, and 3 miles (5 kilometres) north-west of La Feuillie, a village 21 miles (33 kilometres) east of Rouen on the N.30 road from Rouen to Gournay-en-Bray. Buses on the Rouen to Forges-les-Eaux route pass through the village. The cemetery is on the south-east side of the village on the road to La Feuillie (N.321), and is 500 yards from the church. Near the southern boundary hedge in the cemetery are the graves of one officer and two men of the British army. 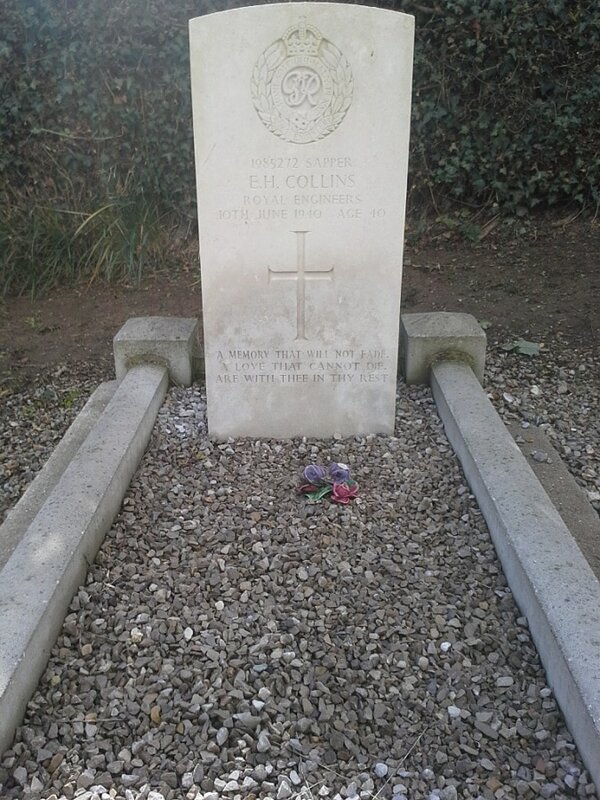 1985272 Sapper Ernest Henry Collins, 212 Army Field Coy., Royal Engineers, died 10th June 1940, aged 40. Son of George and Eliza Collins; husband of Eleanor Emily Collins, of Lower Edmonton, Middlesex. 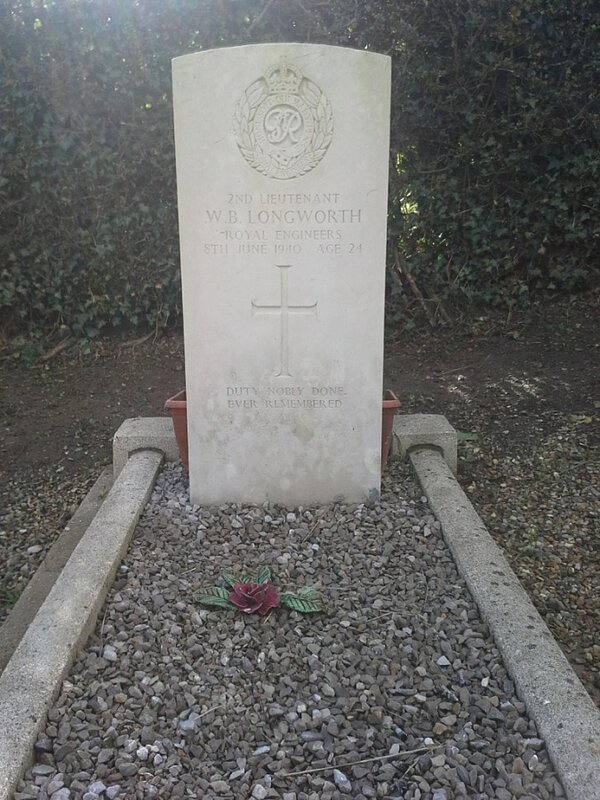 103063 Second Lieutenant William Booth Longworth, Royal Engineers, died 8th June 1940, aged 24. Son of Fred Booth Longworth and Bertha Florence Longworth, of Farnworth, Lancashire. P.A.S.I., A.M.I.M.E. 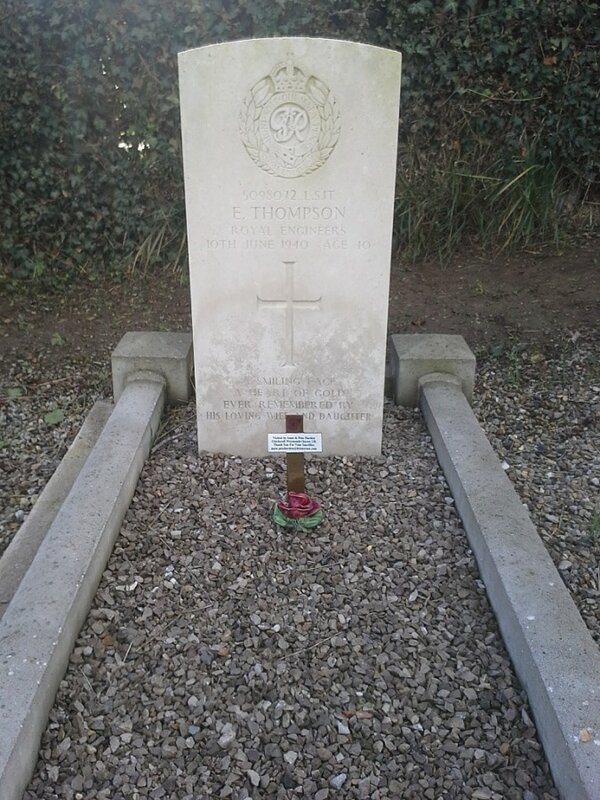 5098072 Lance Serjeant Ernest Thompson, 212 Army Field Coy., Royal Engineers, died 10th June 1940, aged 40. 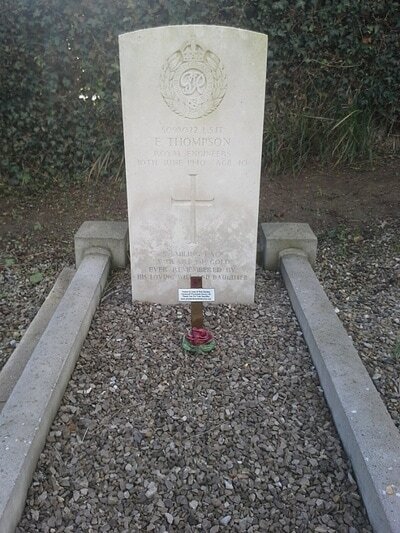 Son of Elizabeth Thompson, of Birmingham; husband of Ellen May Elizabeth Thompson, of Kingstanding, Birmingham.